SoftTouch is a renowned provider of next-generation point of sale (POS) services and technology today. Currently, the POS system by this provider is being used by thousands of nightclubs, restaurants and bars across the country. The preference to this restaurant POS system by thousands of business owners today may be attributed to its unique blend of features. As you will come to learn throughout this review, SoftTouch hybrid technology couples on-premise stability with a superior cloud-based service. Over the years, this blend has been proven to offer limitless functionality and reliable performance for restaurants and bars. 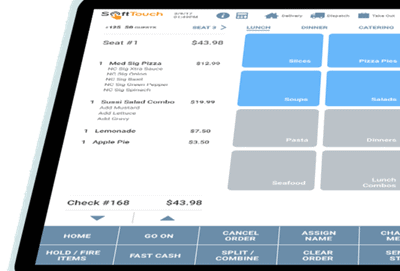 If you are looking for a restaurant POS solution that is simple, scalable, and feature-rich, you should consider getting the Softtouch POS system. So, how is this POS system superior to other point of sale solutions? Since its establishment, SoftTouch has been working tirelessly to offer their clients a feature-rich POS system that will empower their businesses. This has been achieved in the innovative SoftTouch POS software. This POS solution essentially combines power with an elegant design. Over the years, this system has been rated one of the best POS systems for dining establishments. This may be attributed to its blend of table service and fine dining tools and capabilities. The system is equipped with a series of powerful features to give your guests the sophisticated upscale experience that will keep them coming back. This on-premise POS system is best suited for restaurants, nightclubs and bars of different sizes. For table service in quick service restaurants (QSRs), the system offers stand-alone point of sale capabilities. You will also love the fact that the system is customizable and PCI compliant. Normally, SoftTouch is sold through the SoftTouch Authorized Guidance Experts program (SAGE). This is to say that you can only get this POS solution through a reseller network. This is probably why the official provider website does not have any information on the POS Price. If this is your preferred restaurant POS system, you should get in touch with your preferred reseller for an accurate quote. The reseller will ascertain your business needs; hence offer you the right advice and POS solution. The reseller will also offer you training on the POS system as serve as your primary point of contact henceforth. 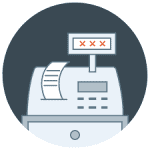 Regardless of the POS package you order from your reseller, SoftTouch has numerous industry-specific features to offer your business. Ranging from quick service restaurants and upscale dining establishments to pizza deliveries and bars, this system is designed to deliver comprehensive functionality. 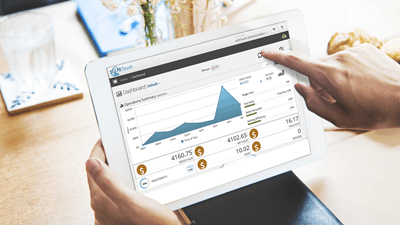 In a bid to empower your business, the provider offers an innovative mobile dashboard for this POS. Though this dashboard, restaurant operators can monitor data on the important business operations in real time. This makes it possible for you to access vital business data from anywhere and on almost any mobile device. This feature allows for your POS system data to be reported directly to your phone in real time. The dashboard also offers real-time data metrics as well as important performance indicators. Additionally, you will also get customizable dashboards as well as configurable dashlets. 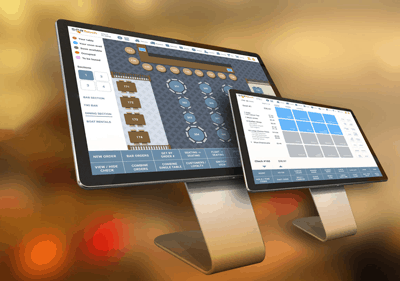 Such capabilities allow you to create a unique at-a-glance perspective of your restaurant. All in all, this feature is designed to offer you the mobility and flexibility you need as a business owner. Staring from October 2015, all merchants were required to use EMV compliant technology by the consortium of payment processors. 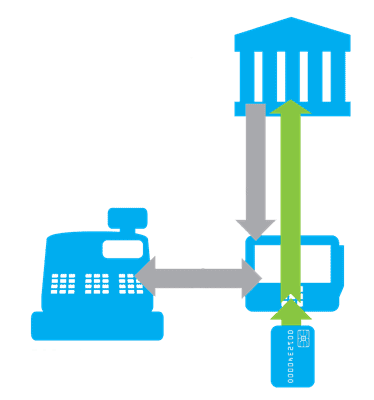 As such, you must ensure that the restaurant POS system you are implementing is EMV compliant. Well, you can now rest assured that the SoftTouch POS system is compliant with this mandate. So, why is this important for your business? As you may have realized, consumers are increasingly concerned about the safety of their credit card information. For them to be able to trust you with their credit cards, you need to demonstrate to them that their information is safe and secure with you. The best way to demonstrate this is to show prove to them that you are taking the necessary precautions to ensure that their personal information is safe. In this regard, an EMV compliant POS system guarantees your customers that their credit card information will be safeguarded. 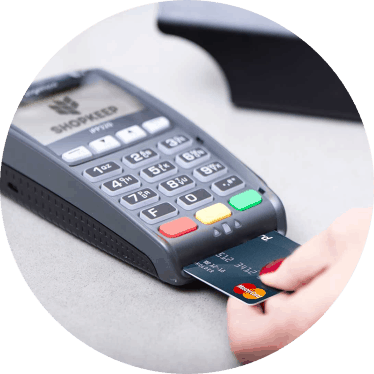 The SoftTouch POS payment processing system has been approved by the Payment Card Industry to be safe and secure. The POS EMV integration offered by SoftTouch allows you to make adjustments after the guest has checked out. This being the case, you will find it easy to add tips after your customers have already checked out. However, you should ensure that your merchant service provider can accommodate this capability. 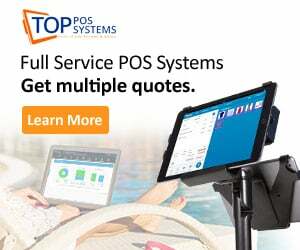 This is one of the innovative best-in-class features by this provider—one you will not find in most of the restaurant POS systems available today. This is arguably the fastest point of sale authentication technology in use today. As part of POS hardware, you will also get a Touchless SignOn proximity scanner. This scanner is designed to automatically detect the wristband of the user and sign them into the POS system. Creative, isn’t it? 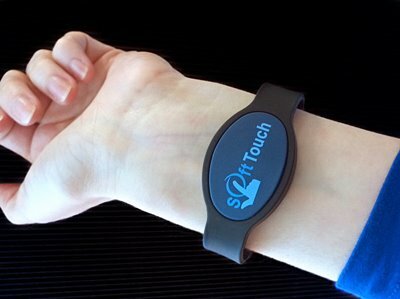 Again, you will also get the wristbands that sign the user to the system at a distance of about 3 inches from the screen. This innovative authentication system will ensure faster service and give you control over who has access to the various POS capabilities. This feature makes it possible for your dine-in customers to access their checks and make payments using credit cards from any internet enabled device. As such, the guests do not have to give their cards to the staff. So, how can this be of benefit to your business? 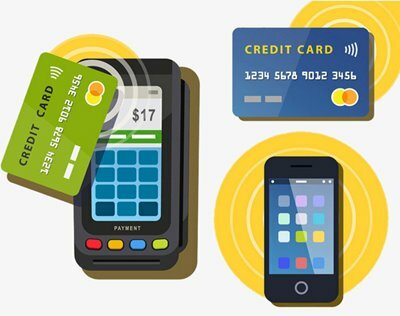 Customers find this feature convenient as they do not have to interact with the staff or surrender their credit cards for them to make payments. 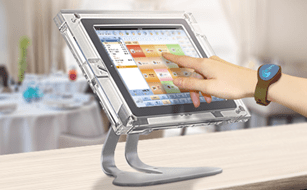 Once the guest has used DineBlast QuickPay to make his or her payment, the payment status will change to successful on the SoftTouch Workstation. As you can imagine this will save staff time and increase customer satisfaction in your establishment. This mode of payment will definitely reduce labor costs and allow for tables to turn faster in your restaurant. This is mainly because you do not need staff intervention for the customers to make payments from their internet-enabled devices. Many consumers are not comfortable surrendering their credit cards, unless you assure them that their information is safe. For such customers, this feature comes as a secure, convenient and fast payment alternative that leaves them satisfied. No wonder the demand of this cloud-based digital wallet payment option has been on the increase in the past months. Many restaurants and bars today are shifting towards self-service solutions. This is why most of the leading restaurant POS systems today have Kiosk capabilities. The SoftTouch iKiosk is designed to encourage your customers to embrace self service. With regards to ordering, the iKiosk allows or to-go ordering, dine-in ordering, Order now pay later and order pickup numbers. Having been designed for the customers, the system features an intuitive interface and is relatively easy to install and customize. As for the payments, your customers can use cash, gift cards or credit cards to checkout at the iKiosks. This is another innovative POS feature by this provider. The solution is offered in the form of a mobile app. 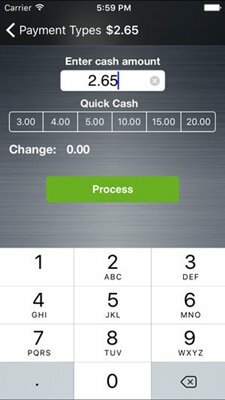 With this app installed in their phones, your customers can place orders, view their checks, and make payments right from their phones. In addition to the above mentioned features and capabilities, this Softtouch feature will help turn tables faster in your business. iPOS is essentially a handheld POS terminal that may be used to accept orders and payments at the tables. Once the servers have taken the orders, they send them directly to the kitchen for preparation. This means that the staffs do not have to walk back and forth while processing customer orders and payments at the table. Are you currently wondering on which POS solution to get for your restaurant? Regardless of your business needs, a scalable, innovative, mobile and reliable cloud-based POS system like SoftTouch will come in handy. As you have learned throughout this review, the product is rated as one of the best restaurant POS system. As an industry leader, the POS not only offers numerous innovative features; it is custom-made to suit your POS requirements.